Time ran away with me again and suddenly there were only 2 weeks left before Amelie’s birthday party and I still needed to start on her present. Doh! Like I said previously, the plan was to make Amelie another Bulle, since she loves wearing her pink one. 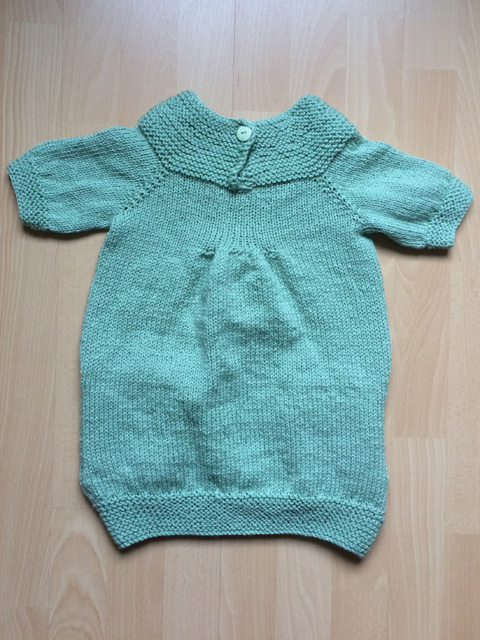 It’s not such a difficult pattern, but to knit it in only a fortnight would be quite the challenge. 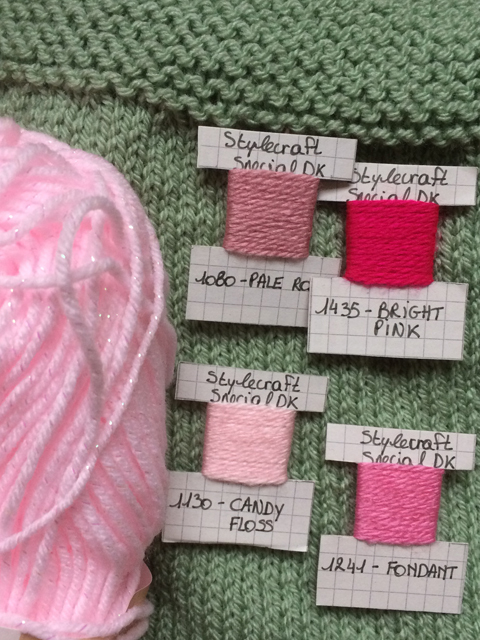 When the girls picked their favourite colours from my yarn stash last year, Amelie had filtered out all the pink ones, being a real girlie-girl. 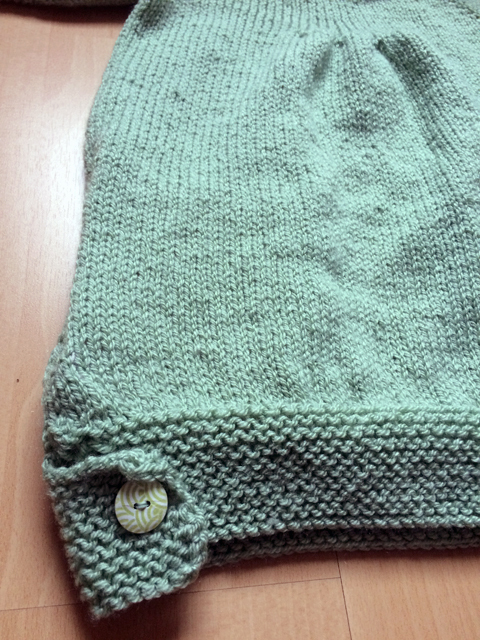 But since I already made her a pink Bulle, I chose another colour for this one: a light greyish green. And then I had to get cracking! I calculated how many rows/rounds I had to knit in total and divided this by the number of days left before the deadline. 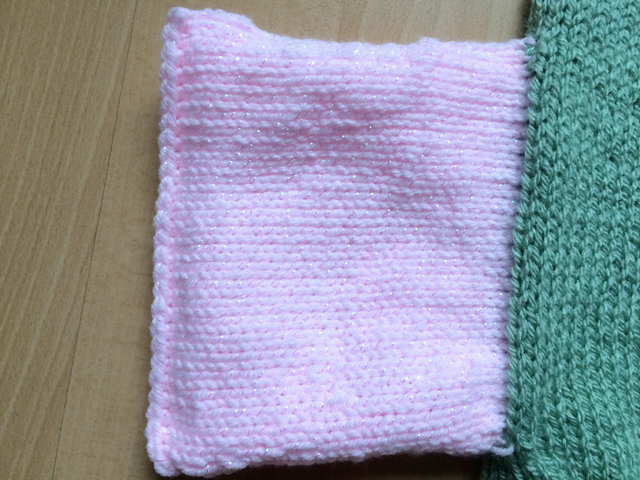 This resulted in me having to knit at least 30 rows/rounds per day, which is quite a lot! Especially since I already knew that I wouldn’t be able to knit every day, so the days that I could knit would have an extra amount of pressure. 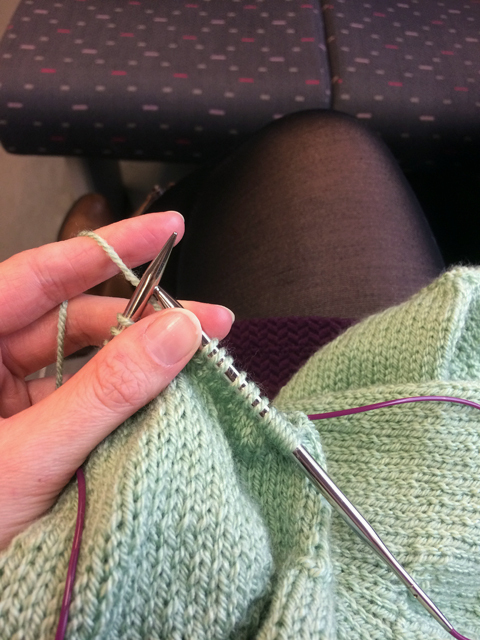 Of course I knit on the train. 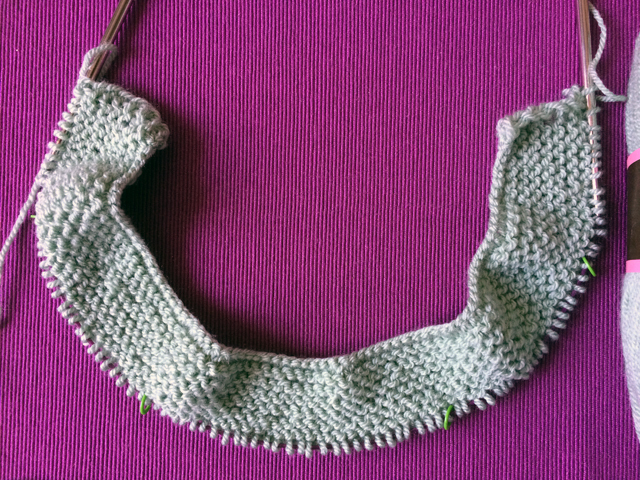 I had no choice, since if I didn’t my number of knitting-days left would reduce drastically again. 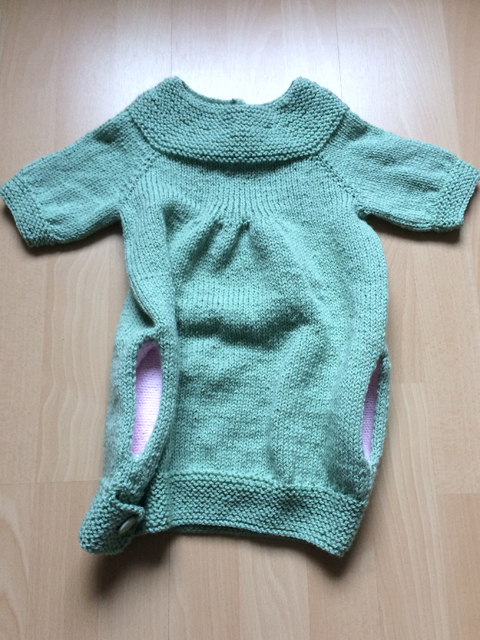 In one week and a half I knitted this dress, except for the pockets. What a strain that was for my hands and elbows! 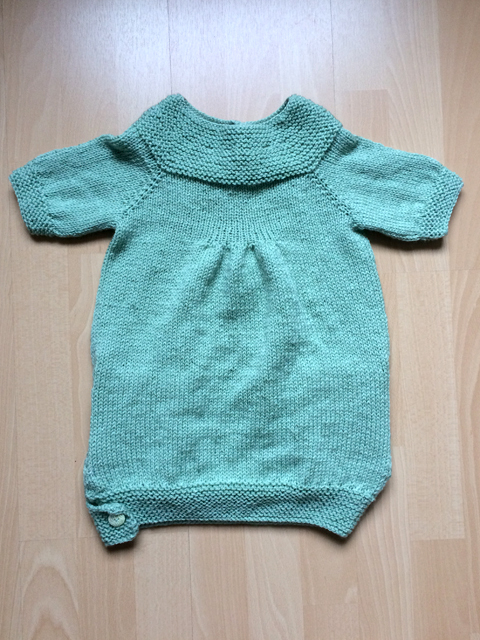 Thirteen days after I started, I weaved in the last ends on this dress, with 2 days spare before Amelie’s birthday party. That way I could still wash and dry the piece.